photo by Justin Bailey, England. Via Flickr. 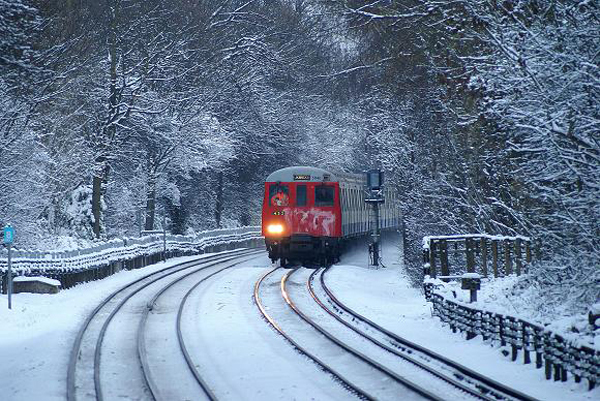 This lovely photo from a snowy U.K. was taken in December from the Eastcote Station towards the end of the Uxbridge Branch of London Underground’s Metropolitan Line, which travels at ground level. I think this is one of my faves so far.